Entrepreneurs say Ottawa is waging class war, singling out business owners as the beneficiaries of unfair tax advantages. Don Paton spends most of his days pricing new jobs around the factories and industrial sites of Hamilton, or in hands-on work making the electrical connections for the cranes his company installs and repairs. The rest of his time he spends at a computer, usually tackling administrative work for his business, Ontario Crane Service. 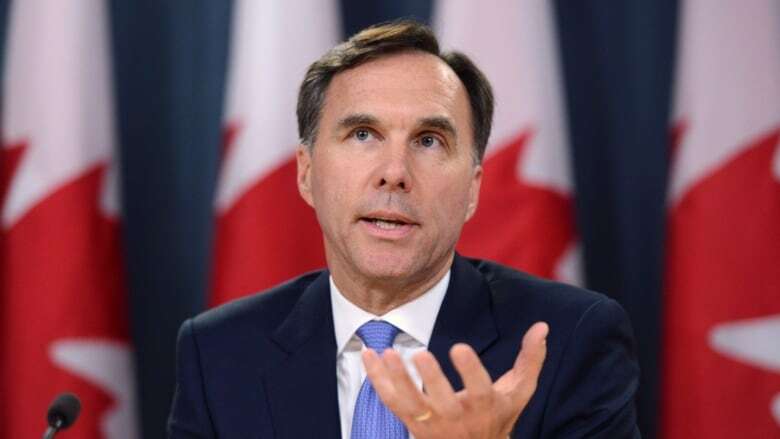 But last week he sat down to give Bill Morneau, Canada's finance minister, a piece of his mind. "To me it's like, they're trying to pit one part of society against the other part. Anybody who owns a business is a bad person, because they've got money in the bank, or they've got a rainy day fund," he says. His gripe is the federal government's proposal to close what it calls tax loopholes that private businesses use. Practices, the government's literature says, used to "gain unfair tax advantages." Paton, and a growing number of business owners across the country, disagree. The curtailment of "income sprinkling," a method by which business owners shift a portion of income to family members, either through salary or dividends. The curbing of "passive investment income," which the government describes as the investment of money left in a corporation, for purposes other than to invest directly in growth. The conversion of a corporation's regular income into capital gains, which typically attract a lower tax rate. The first two measures are attracting mounting criticism. Money left "passively" invested within the business, Paton says, has an important purpose. "They want me to take that cash out of the business so they can take more tax off it, and meanwhile if I hit a rough patch or a downturn I'm going to have to go to the bank and borrow that money and pay interest." Left in the business, the money is subject to the relatively lower small business tax rate, allowing Paton to invest a larger sum. But he bristles at the suggestion of unfairness. If he was an employee, he points out, there would be layers of government protection, including labour laws mandating severance payments, between him and the business cycle. But running his own business, it's his job to make sure he can still pay his five employees through a downturn. That sheltered investment isn't necessarily just for his own benefit. In downtown Calgary, David Wallach shares similar concerns, although, for the president and majority owner of a real estate services and management company, his objections extend to a crackdown on "income sprinkling." Sometimes this takes the form of paying salaries to other family members who work for the business. But the government is also taking aim at the practice of dividend payments to family members, something that hits close to home for Wallach. He owns his majority interest in Barclay Street Real Estate through a holding company, the shares of which are divided 50/50 between him and his wife. In good years — two of the last four — those shares have paid a dividend. Wallach says the money paid to his stay-at-home wife (taxed, but at a lower rate than if the money all accrued to him) helps to compensate for the risk the whole family has borne through his entrepreneurship. "If, God forbid, I divorced my wife of 33 years tomorrow, the government would say that half this business belongs to her. She stayed home and raised our three children, she's participated in the risk, the whole family did. So why shouldn't she be paid." Wallach also points out that Alberta has been mired in a deep economic funk for several years. He's had to meet payroll from his own pocket, he says, "but it's not my pocket, it's my family's pocket." He's also, in the past, risked the family home as collateral for a loan to the business. The risk of business, he says, is shared by the family, and tax law should recognize that. The Canadian Federation of Independent Business, representing more than 100,000 members, says it's heard mounting dissent about the tax changes. "We're getting more understanding of what the potential impacts might be, and it's, I think, much broader than we initially thought ourselves. And I think this idea that it's targeting only wealthy individuals or professionals is not true," says Corinne Pohlmann, senior vice-president of national affairs. "Members in all types of sectors, and definitely many members who are not considered wealthy, are very concerned about the impacts of this on their businesses." Kim Moody, director of Canadian tax advisory at Moodys Gartner Tax Law in Calgary, says the clients he's briefed have been horrified. But the issue, he suggests, cuts deeper than just tax. "This is about economics. What the government will do here is stifle entrepreneurs who have been the backbone of Canada's growth … and all in a 75-day consultation period, held mainly over the summer, when everyone, including the government bureaucrats supposedly listening, are on holiday."